Colorado Rapids has over 2.5 goals in their last 3 away games in MLS. LA Galaxy has over 2.5 goals in their last 9 games in MLS. LA Galaxy has over 2.5 goals in their last 7 home games in MLS. Colorado Rapids scored in last 4 away games in MLS. Brasil de Pelotas has under 2.5 goals in their last 7 home games in Serie B (Brazil). Avai ended draw their last 5 games in Serie B (Brazil). Avai ended draw their last 3 away games in Serie B (Brazil). Avai scored in last 4 away games in Serie B (Brazil). Brasil de Pelotas scored in last 3 home games in Serie B (Brazil). Guangzhou R&F has over 2.5 goals in their last 3 games in Super League (China). 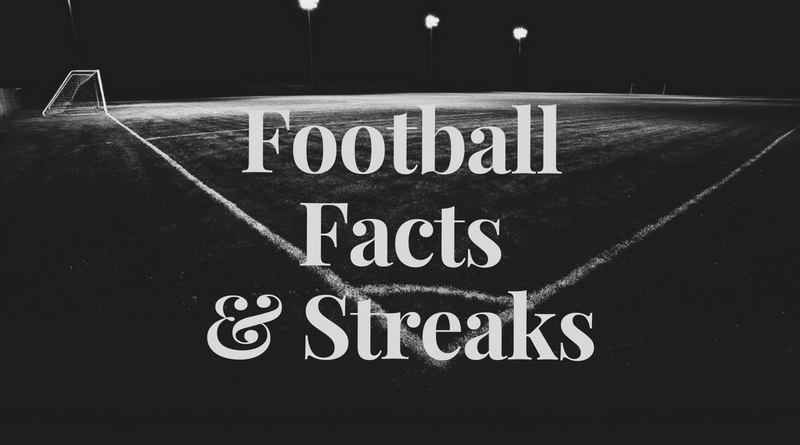 Guangzhou R&F has over 2.5 goals in their last 3 away games in Super League (China). Shanghai SIPG scored in last 19 games in Super League (China). Shanghai SIPG scored in last 19 home games in Super League (China). Shanghai SIPG scored over 1.5 goals in last 3 home games in Super League (China). Chongqing Lifan has over 2.5 goals in their last 3 away games in Super League (China). Jiangsu Suning scored in last 3 games in Super League (China). Shandong Luneng scored in last 5 games in Super League (China). Shandong Luneng allowed opponents to score over 1.5 goals in last 6 games in Super League (China). Tianjin Songjiang won their last 3 home games in Super League (China). Tianjin Teda scored in last 3 games in Super League (China). Tianjin Songjiang scored in last 6 games in Super League (China). Tianjin Songjiang scored in last 3 home games in Super League (China). Tianjin Songjiang scored over 1.5 goals in last 3 home games in Super League (China). Beijing Renhe has over 2.5 goals in their last 3 home games in Super League (China). Beijing Renhe has over 2.5 goals in their last 3 games in Super League (China). Beijing Renhe scored in last 10 home games in Super League (China). Guizhou Zhicheng lost their last 3 games in Super League (China). Shanghai Shenhua scored in last 3 home games in Super League (China). Shanghai Shenhua scored in last 4 games in Super League (China). Beijing Renhe scored in last 3 games in Super League (China). Guangzhou Evergrande has over 2.5 goals in their last 4 games in Super League (China). Guangzhou Evergrande scored in last 6 games in Super League (China). Henan Jianye scored in last 3 home games in Super League (China). Guangzhou Evergrande scored over 1.5 goals in last 4 games in Super League (China). When FC Henan Jianye leads 1-0 at home, they win in 75% of their matches in Super League (China). Gamba Osaka scored in last 5 home games in J League (Japan). Gamba Osaka scored in last 3 games in J League (Japan). Shonan Bellmare has over 2.5 goals in their last 3 away games in J League (Japan). Vegalta scored in last 10 games in J League (Japan). Vegalta scored in last 11 home games in J League (Japan). Shonan Bellmare scored in last 4 games in J League (Japan). Shonan Bellmare scored in last 3 away games in J League (Japan). Urawa Red Diamonds has over 2.5 goals in their last 3 home games in J League (Japan). Urawa Red Diamonds won their last 3 home games in J League (Japan). Sagan Tosu has under 2.5 goals in their last 4 games in J League (Japan). Kawasaki Frontale won their last 3 games in J League (Japan). Urawa Red Diamonds scored in last 3 home games in J League (Japan). Urawa Red Diamonds scored over 1.5 goals in last 3 home games in J League (Japan). Urawa Red Diamonds allowed opponents to score over 1.5 goals in last 4 home games in J League (Japan). Kawasaki Frontale scored in last 6 games in J League (Japan). Kawasaki Frontale scored in last 3 home games in J League (Japan). Sagan Tosu scored in last 3 away games in J League (Japan). Nagoya Grampus has over 2.5 goals in their last 3 away games in J League (Japan). Nagoya Grampus lost their last 3 away games in J League (Japan). Nagoya Grampus scored in last 3 away games in J League (Japan). Nagoya Grampus have a winning streak of 3 matches in J League (Japan). Kashiwa Reysol lost their last 5 games in J League (Japan).